As the knife community patiently awaits the ESEE Camp-Lore Pr4, SMKW has stepped up and made it available for pre-order. The PR4 is Patrick Rollins take on the classic Horace Kephart design. 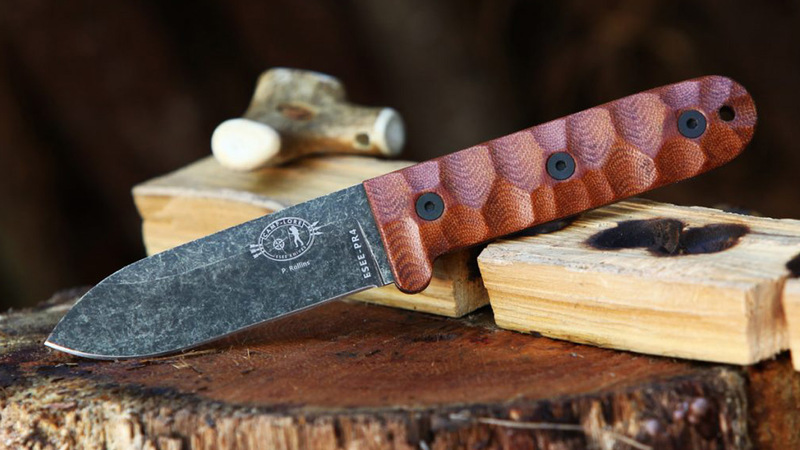 If you’re a bushcrafting enthusiast, this is sure to be a must have for your next adventure. 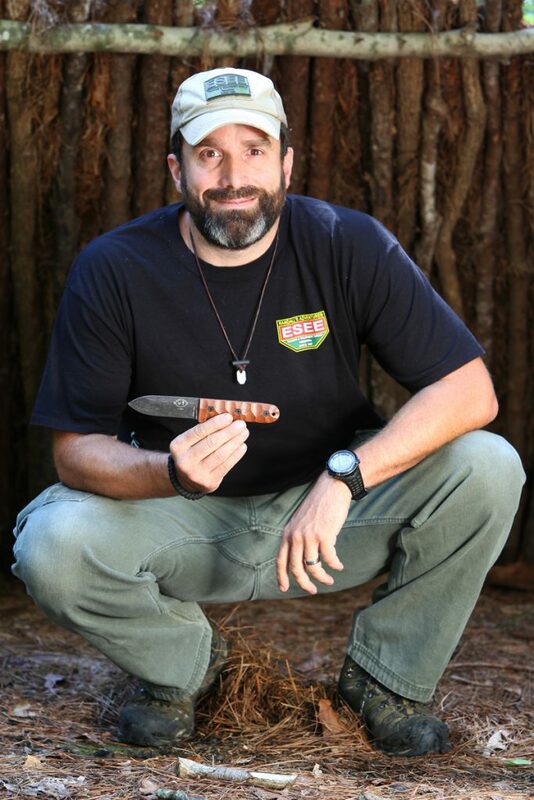 Just in case you haven’t heard about the ESEE Camp-Lore PR4, let me take you to class really quick. The PR4 has the classic rounded Kephart blade. The blade isn’t the most beautiful thing out there, but it’s all practical. ESEE makes the blade from their strong 1095 carbon steel. It has a tumbled black oxide finish to protect the carbon steel from moisture which leads to rust in the field. 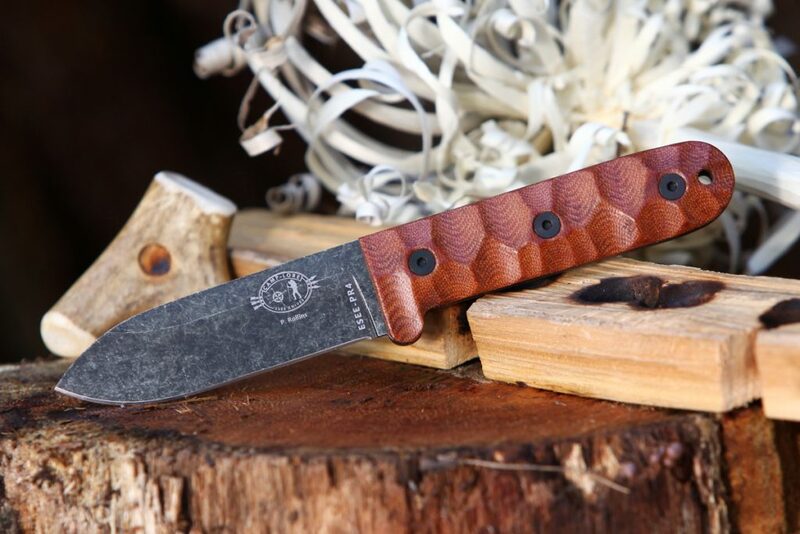 The blade is 4.19″ which is large enough to baton wood yet small enough to process small game. The spine has a 90-degree edge for effective use with a ferro rod. This blade is built tough and has the protective layer and spine to be useful in any survival situation. The handle is just as durable as the blade. ESEE designed the PR4 with sculpted micarta handles. 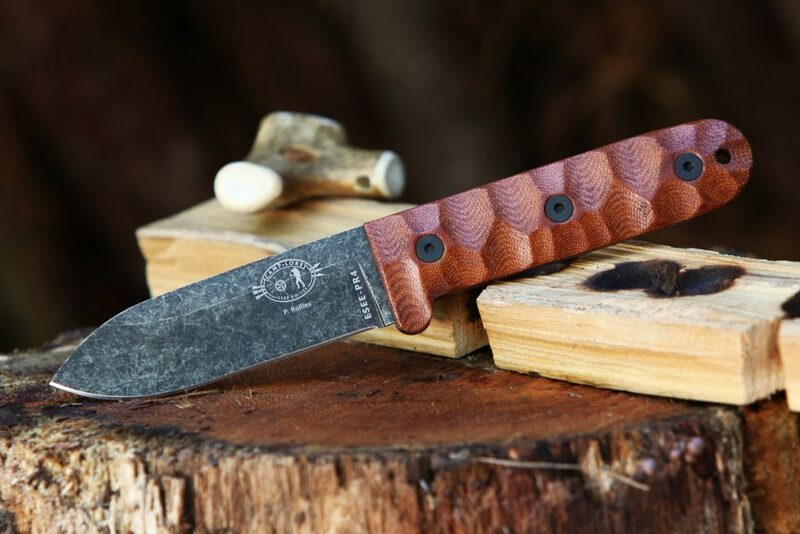 The micarta is lightweight and impervious to damage from the elements. 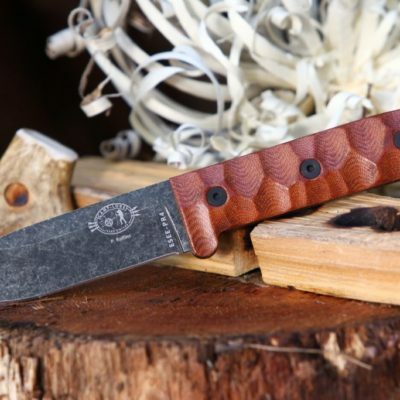 They sculpted the micarta with a strong tread pattern to assist with grip in any condition. Even if you and the knife are covered in mud, grip still wouldn’t be a question with the PR4. Three large rivets hold the handles to the full tang, which means there isn’t really a weak point in the knife as a whole. 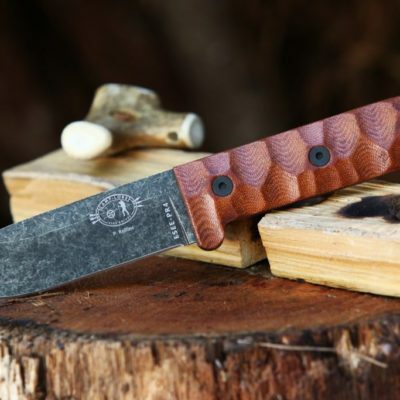 Guys, whether you’re a fan of bushcrafting or just classic knife design, the new ESEE Camp-Lore PR4 might be for you. 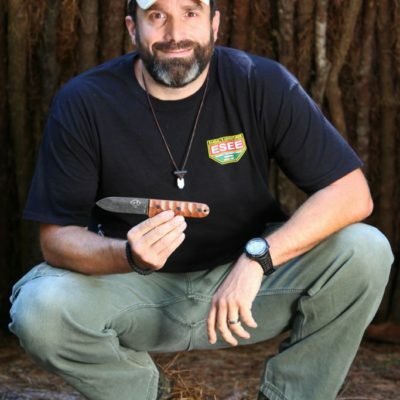 This knife can be found on pre-sale at Smoky Mountain Knife Works (smkw.com). You can snag this contemporary classic for a mere $99.99. That’s honestly a steal for a modern version of the most legendary bushcrafting knife ever made. You can pre-order it by simply clicking the link below.